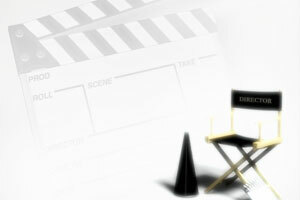 Digital Forge can supply your editing and delivery needs for video production. Gillian has over 30 years editing experience in commercial television and corporate video production. Digital Forge has a professional non-linear editing suite for high-quality video production. We are comfortable working with a wide variety of consumer and professional video formats, including miniDV, HDV, BetacamSP, Digital Betacam and HD. We can also transfer Super8 film and VHS tapes into a more accessible form like DVD. Video projects can be used in a variety of ways. Digital Forge can deliver your project on tape, DVD, and/or prepare it for new media use. This includes using your video in PowerPoint presentations, on the web, or for podcasts, video iPods and even mobile phones. If you want to see an example of video on the web, visit our podcast using iTunes, an RSS reader or your browser. The partnership between the video production and web development aspects of Digital Forge means we can offer clients convenient online previews of video productions. This avoids the delays encountered using DVD and couriers, especially for our eastern-states clients.